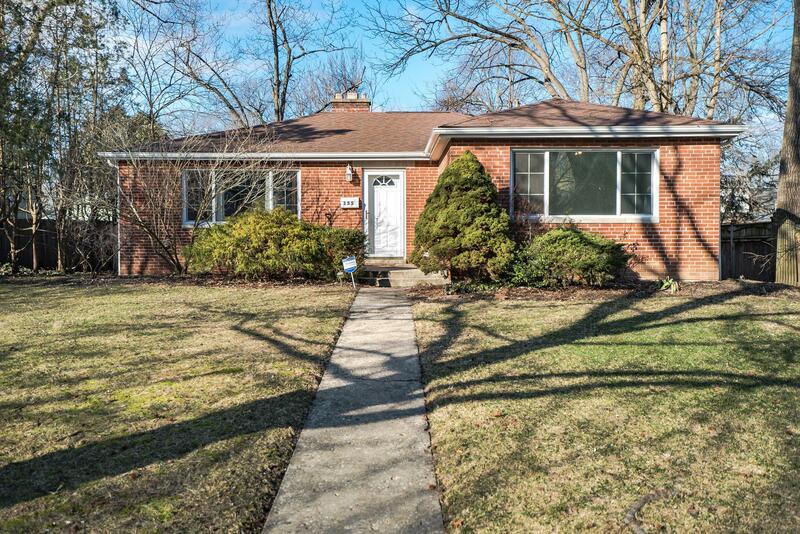 This rare sunny window-ladened north Bexley mid-century brick ranch is nestled with larger homes includes a detached toy-ready garage for RV and boating enthusiasts. New gutters, windows, garage roofing, 3 bedrooms and 1 full bath. Open floor plan with rich hardwood floors. Updated kitchen overlooks private back yard. Full basement doubles the space. Handsome fireplace. Air conditioner does not work and is conveyed as-is.